Kidney Rejuvenator helps rid toxins out of the blood, cleanse the urinary tract system, promote proper kidney function and reduces inflammation. Kidney Rejuvenator is designed to help your pets overall urinary tract system function better allowing the kidneys to filter out the harmful toxins that may be causing your pet to develop diseases or show signs of age at early onset. Kidney Rejuvenator may help your pet feel better and look healthier. Our kidneys get overloaded with what vets call kidney stones, which are very painful. Kidney Rejuvenator can help get rid of those painful stones. If used as a maintenance, Kidney Rejuvenator can keep kidney stones from coming back. Bacteria can also be a cause of kidney malfunction. 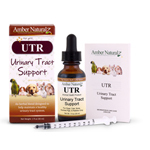 Kidney Rejuvenator and Urinary Tract Relief provide your pet the ultimate kidney support. It may not be enough to give kidney enhancers, especially if there is a bacterial infection (often kidney malfunction is related to bacteria). 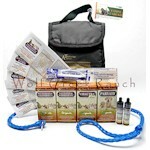 The Urinary Tract Relief may help rid the bacteria from the urinary tract system, including the kidneys. For long-term use: 2 to 15 drops once/day for 10 days. After each 10 day treatment, take your pet off Kidney Rejuevantor for 10 days then repeat another 10 day cycle. Urinary Tract Relief can be used during the 10 day cycle that the Kidney Rejuvenator is not given for severe urinary tract or kidney problems. 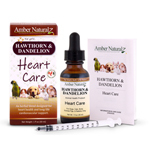 For use with HeartWorm Free: Give Kidney Rejuvenator 10 days on and 10 days off throughout the full heart worm treatment. 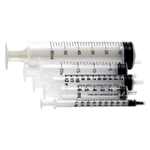 Kidney Rejuvenator will help cleanse the kidneys, so your dog can eliminate the dead microfilaria more quickly, helping your dog to recover from HeartWorm more quickly and easily. Warning: Keep out of reach of children. This product should not be used if pregnant, nursing, diabetic, or suffering from renal failure. Be sure your pet has plenty of fresh water to drink to help flush toxins from the kidneys. Always check with a veterinarian before starting any new health program. An overdose can cause miscarriage. Do not use in pregnant animals. Watch for allergic symptoms such as hives, trouble swallowing and swelling around the eyes. If one is experiencing any adverse symptoms or notes any adverse signs, then cease using this product & immediately contact your nearest emergency medical system. The use of Kidney Rejuvenator in the presence of endocrine pancreatic dysfunction (e.g. diabetes mellitus or acute infectious pancreatitis) and evidence of liver disease is a contraindication due to the presence of ethyl alcohol in this product. Alcohol may be removed by protocol (for every drop of Kidney Rejuvenator, add 1 drop of hot water and let cool).